It is recommended that you make this passphrase long and memorable — you cannot recover your wallet with your encrypted key if you lose your passphrase. 2.2 Save account and backup keys. 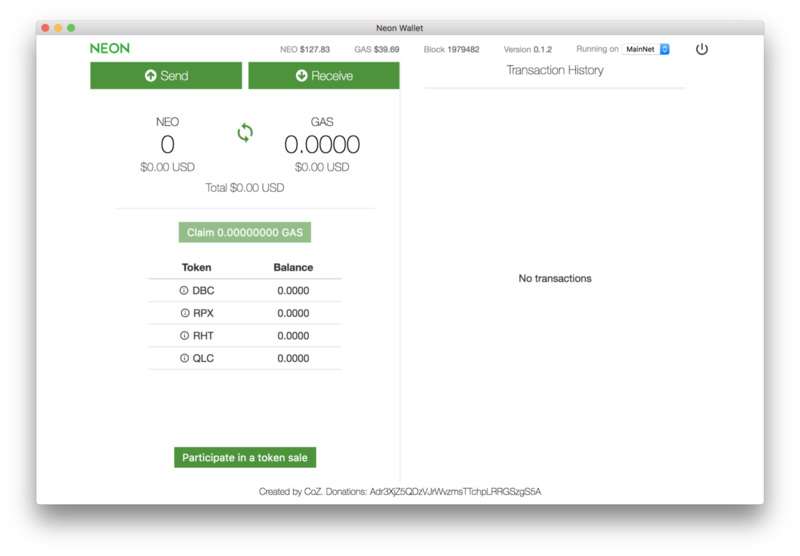 Click on the Save Account button — this saves your newly created address onto a local file, so you may access to your wallet using NEON later on. Public Address: You may share your public address with people — this is the address people will use to transfer your funds / assets. Encrypted Key: Do not share your encrypted key with anyone — your passphrase is needed to access your wallet. Private Key: Do not share your private key with anyone — anyone can log in to your wallet with just your private key. Clicking Next will take you to your wallet details. 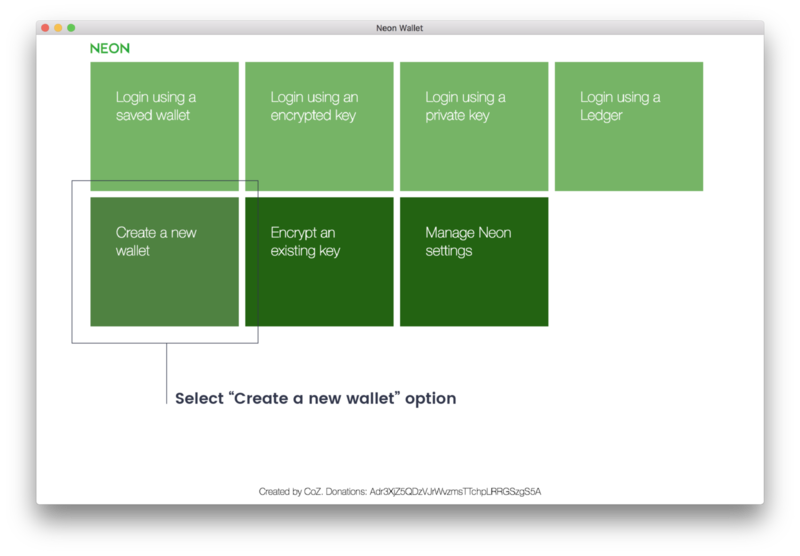 There are several ways to login to your NEON wallet — we will cover all 3 ways here. Navigate to the main page, and select “Login using a saved wallet”. 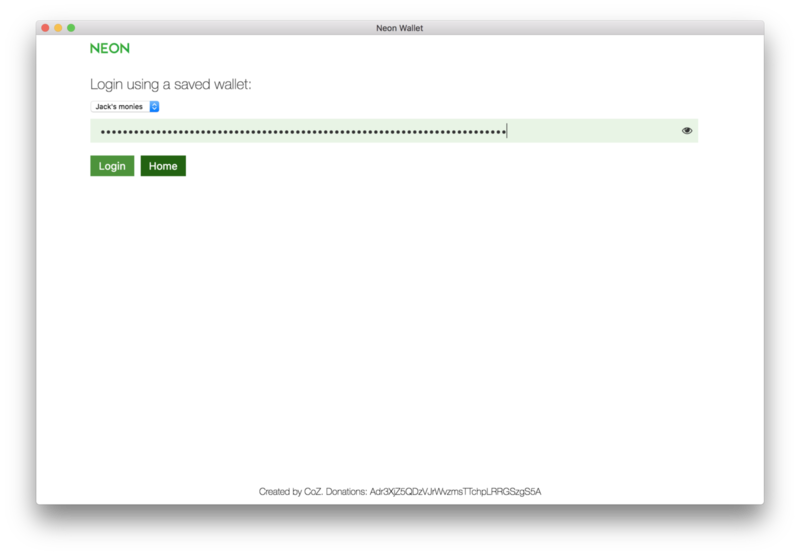 Select the wallet you’d like to access and you will be prompted for your passphrase which you set while creating the wallet. Navigate to the main page, and select “Login with Encrypted Key”. 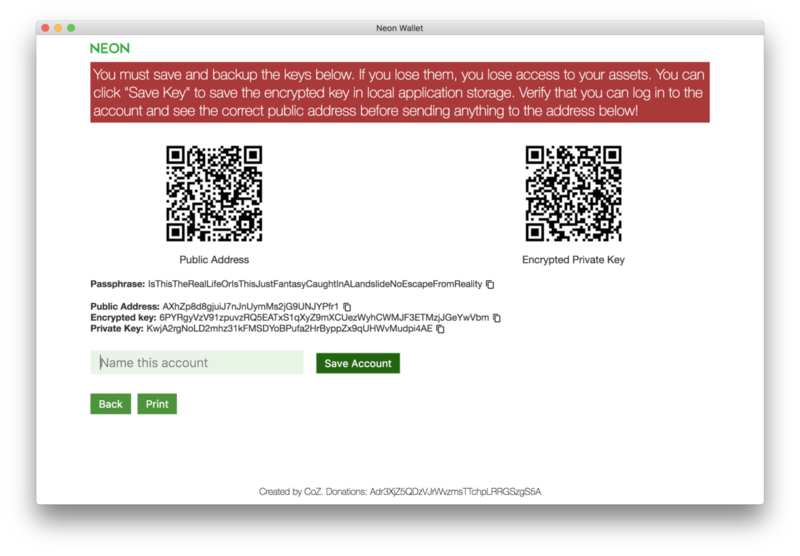 You will be prompted for your passphrase which you set while creating the wallet and your encrypted key. Navigate to the main page, and select “Login with Private Key”. You will be prompted for your private key.